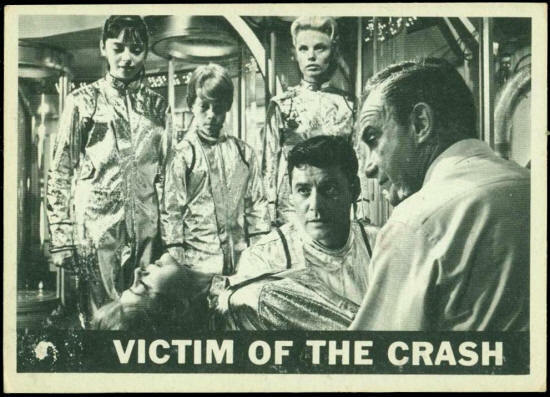 One by one consciousness returned to the crew members of the rocket. At last, all had recovered, except Maureen Robinson. 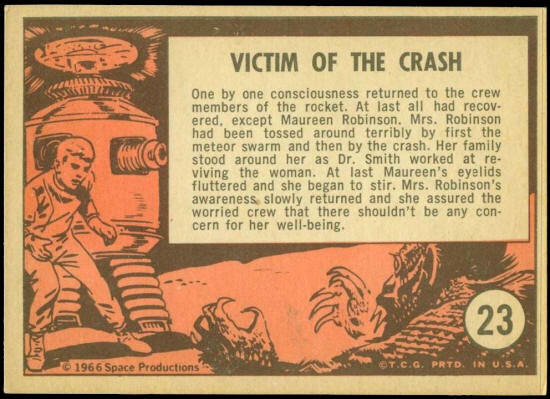 Mrs. Robinson had been tossed around terribly by first the meteor swarm and then by the crash. Her family stood around her as Dr. Smith worked at reviving the woman. At last Maureen’s eyelids fluttered and she began to stir. Mrs. Robinson’s awareness slowly returned and she assured the worried crew that there shouldn’t be any concern for her well-being.